^ Irby, Jr., Richard E. A Concise History of the Flags of the Confederate States of America and the Sovereign State of Georgia. About North Georgia. Golden Ink. [2014-12-19]. （原始内容存档于2013-10-05）. ^ 2.0 2.1 Nevins, Allen. The War for the Union: The Improvised War 1861-1862. Charles Scribner's Sons. 1959: 129–130. ISBN 978-0-684-10426-3. ^ 3.0 3.1 3.2 3.3 3.4 3.5 3.6 3.7 Harrison, Lowell H. The Civil War in Kentucky. Lexington, Kentucky: The University Press of Kentucky. 1975 [2014-12-19]. ISBN 0-8131-0209-X. ^ 4.0 4.1 4.2 4.3 4.4 Shortridge, William Porter. Kentucky Neutrality in 1861. The Mississippi Valley Historical Review (Organization of American Historians). 1923-03, 9 (4): 283–301. JSTOR 1886256. doi:10.2307/1886256. 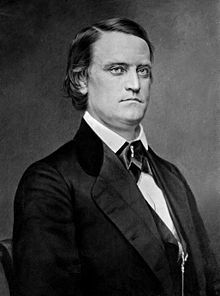 ^ 5.0 5.1 Heck, Frank H. John C. Breckinridge in the Crisis of 1860-1861. The Journal of Southern History (Southern Historical Association). 1955-08, 21 (3): 316–346. JSTOR 2954954. doi:10.2307/2954954. ^ 6.00 6.01 6.02 6.03 6.04 6.05 6.06 6.07 6.08 6.09 6.10 6.11 6.12 6.13 6.14 6.15 Lowell H. Harrison (编). Kentucky's Governors. Lexington, Kentucky: The University Press of Kentucky. 2004. ISBN 0-8131-2326-7. ^ 7.0 7.1 7.2 7.3 7.4 Powell, Robert A. Kentucky Governors. Frankfort, Kentucky: Kentucky Images. 1976. OCLC 2690774. ^ 8.00 8.01 8.02 8.03 8.04 8.05 8.06 8.07 8.08 8.09 8.10 8.11 8.12 8.13 8.14 8.15 8.16 8.17 8.18 8.19 Jerlene Rose (编). Kentucky's Civil War 1861 – 1865. Clay City, Kentucky: Back Home in Kentucky, Inc. 2005. ISBN 0-9769231-2-2. ^ 9.0 9.1 9.2 9.3 9.4 9.5 9.6 9.7 Kleber, John E. (编). The Kentucky Encyclopedia. Associate editors: Thomas D. Clark, Lowell H. Harrison, and James C. Klotter. Lexington, Kentucky: The University Press of Kentucky. 1992. ISBN 0-8131-1772-0. ^ 10.00 10.01 10.02 10.03 10.04 10.05 10.06 10.07 10.08 10.09 10.10 10.11 10.12 10.13 10.14 10.15 10.16 10.17 10.18 10.19 10.20 10.21 Kent Masterson Brown (编). The Civil War in Kentucky: Battle for the Bluegrass. Mason City, Iowa: Savas Publishing Company. 2000. ISBN 1-882810-47-3. ^ 11.00 11.01 11.02 11.03 11.04 11.05 11.06 11.07 11.08 11.09 11.10 11.11 11.12 11.13 11.14 Harrison, Lowell Hayes. George W. Johnson and Richard Hawes: The Governors of Confederate Kentucky. The Register of the Kentucky Historical Society. Winter 1981, 79 (1): 3–39. ^ Noe, Kenneth W. Perryville: This Grand Havoc of Battle. Lexington, Kentucky: University Press of Kentucky. 2001: 124. ISBN 978-0-8131-2209-0. ^ 13.0 13.1 Encyclopedia Americana Vol. 4 1969. Americana Corporation. ISBN 0-7172-0100-7.